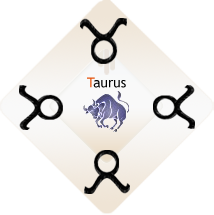 Calm, collected and attractive on the outside, raging like a tempest on the inside, Taurus is the blacksmith shop of the soul. If you’re a Taurus, you’ve incarnated at this time for the purpose of being shaped and tempered. Just be sure you go gently on yourself even during the tempering process. And remember that such deep working out should be harnessed in the form of creative energy as well as sensuality. You need both.